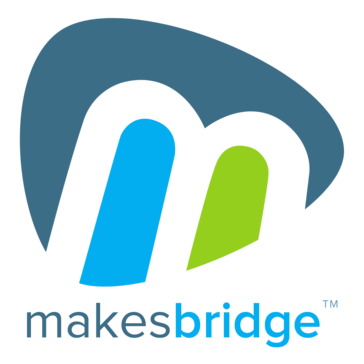 Makesbridge is an established best-of-breed solution used by thousands of users around the globe. Use the platform for simple mass email shots, advanced B2C emailing to millions per day, sales automation, or marketing automation. Testimonials say we're an improvement for MailChimp and Marketo if you need power at the right price with world-class support. Whether your looking for simple email or advanced marketing automation, Makesbridge is a best-of-breed option. Makesbridge plays nicely with Salesforce, Netsuite, G-Suite, and thousands of other cloud based CRMs. Plumb5 is a platform for segment of one marketing which allows marketers to offer behavior based automation across the customer life-cycle in real-time. The Plumb5 platform hosts a suite of apps comprising of web and mobile trackers, dynamic personalization widgets, email and social apps, community builders, data visualization and connectors for Commerce, CRM, POS and Telephony apps. ACTITO is a SaaS marketing automation company founded in 2000. Back then, the three founders thought it would be a good idea to bridge the gap between brands and consumers. So they started building the software that marketers now love. With ACTITO, you can personalize your interactions by the second, with hundreds, thousands, even millions of customers worldwide. ACTITO targets mid to large companies wanting to run all their marketing activities from one easy-to-use platform. All the customer data you are collecting is centralized and consolidated onto a Customer Data Platform and made available to tailor, target and personalize right-time messages through main marketing channels – namely email, mobile and web. ACTITO offers full compliance with Europe’s latest general data protection regulations (GDPR), leaving marketers free to focus on building lasting and profitable customer relationships. ACTITO runs its European operations from its headquarters in Belgium, and also has offices in France and The Netherlands. ACTITO is also present in North America with an office in Canada. More than 250 clients use the platform worldwide including ABB, Friesland Campina, Biocodex, ARTE, WWF and KIA. ActiveTrail is a turnkey automated communications platform for email and SMS campaigns, offering a broad array of tools that can be utilized for effective online marketing. The software suite allows you to generate professional sign-up forms, newsletters, and landing pages, while also allowing you to send automatic emails and text messages as part of your marketing campaigns. Additionally, ActiveTrail hosts many other useful features, ranging from extensive reporting tools to numerous native third-party application integrations. Cheetah Digital is the trusted partner to some of the best brands in the world, offering a comprehensive enterprise marketing solution designed for data-driven, cross-channel marketing programs that build customer loyalty. Our brand partners know that our dedication to marketers is also a reflection of our unrelenting commitment to product innovation, expert services, and to helping them drive exceptional results for their business. Actionable Data and Insights: Collect, manage, and activate billions of individual customer records to deliver timely, relevant messages across every channel. Scale Your Campaign Needs with Ease: Software designed to help marketers build and optimize high-volume, highly complex, high-performing cross-channel campaigns for each individual customer. Your Extended Team of Experts: A global team of experts providing a comprehensive set of services to support enterprise marketers at scale. Marketing automation software that does what you need done: email marketing, forms, landing pages, lead nurturing, lead scoring, surveys, assessments, and more – with the #1 inbox deliverability in the business – getting more of your emails to the people you want to see them. We are honored to have recently received a Customer Service Excellence Award - because we love working with our customers to achieve the success they envision. Are you ready to leave ordinary marketing in the dust and get better results? It's time to market differently. 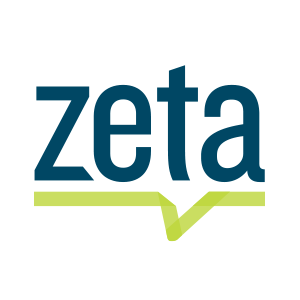 Kintegra is a cross-channel marketing platform backed up by Artificial Intelligence. The main motive towards creating KINTEGRA is to enable businesses to OPTIMIZE and MANAGE their digital marketing campaigns and social media presence effectively. Kintegra’s AI engine is built with features which abolish the common yet critical problems faced by agencies or marketers. The major features are- - Automated increase/decrease in the budget, based on the campaign performance, across marketing channels (Facebook + Google AdWords) -Automated Initiation and pausing of campaigns based on conversion metrics (Google Analytics) -Automated reporting system cross-channel -Automated management of campaigns based on the rules created. -Link unlimited Facebook and Google AdWords ad accounts for effective monitoring and analysis. -Link unlimited Google Analytics accounts to know real conversion metrics along with campaign performance. -Amplify campaign performances cross-channels by identifying the right target audience, based on behaviour and interest. -Usage of universal pixel code to identify users visiting the website, landing pages or any other web property. -Monitoring of metrics on multiple levels and channels. -Real-time notifications of underperforming campaigns. -Creation of clusters cross-channel on the level of Ad Accounts, Campaigns, Ad Groups/ Sets for monitoring aggregated actions. -Maintains a clean and well-organised dashboard to view active campaigns along with relevant conversion metrics. (Google Analytics) -A highly powerful search feature to explore across all ad sets/campaigns at one place. -A progressive web app that does not require any software for installation. MarketingLeo is an Omnichannel Marketing Automation platform built specifically for B2B businesses. MarketingLeo helps marketers acquire, engage and retain more customers with smart omnichannel marketing automation. With in-built CRM, landing page creator, form builder, social media manager, popup builder, push notifications manager, dynamic lead segmentation, lead scoring module and many other innovative features, MarketingLeo is the only marketing tool marketers need to manage Marketing. Sailthru Customer Retention Cloud is a marketing personalization platform with omnichannel data collection, customer profiles building, and analytics. SmarterHQ’s behavioral marketing platform makes it easy for marketers to increase revenue now and customer relationships over time by powering highly personalized, cross-channel experiences. Trusted by leading brands such as Bloomingdale’s, Hilton, Santander Bank, and Finish Line, SmarterHQ activates real-time, multichannel data, identifies audiences quickly based on customer behavior and information, and automates personalized content across online and outbound channels. They have been recognized by Forrester’s Total Economic Impact study to deliver 667% in ROI. Learn more at SmarterHQ.com. Marketing 1by1 provides an adaptable marketing automation software that send customized communications with product recommendations according to each profile. The solution integrates all the input and output channels with ready to use triggers. Adabra is a cloud an A.I. marketing automation platform, designed to help eCommerce and lead generation websites to boost sales. Adaptive Creative allows you to auto customize your ads based on a multitude of real time real world signals such as weather, sports scores, trending topics on twitter chatter and more. Agillic is a complete SaaS Omnichannel Marketing Automation and communications platform utilizing both physical and digital channels. Agillic empowers your company to communicate timely and relevantly with your customers on both inbound and outbound channels. Agillic supports all thinkable communications channels such as Email, Direct Mail, SMS – Inbound & Outbound, App Push, Call Center and Sales assistant empowerment. With Agillic you will be able to finally act on insight. The Aimbase platform is unique compared to the competition because it is one of the only marketing automation technologies on the market to effectively manage the pre-sale and post-sale phases of the customer lifecycle for manufacturers. Aimbase is made up of two engines: the Marketing Engine helps manufacturers manage all pre-sale marketing initiatives, including media placement, lead nurturing, lead distribution to dealers, and content marketing strategy; and the Customer Satisfaction Engine helps manage post-sale marketing efforts, including survey distribution and reporting, utilizing a CSI (customer satisfaction index) methodology. Akanoo engages online-shop visitors with effective campaigns while they are still surfing the shop site. Akero is a marketing automation software helps to measures lead, campaign, and track outcome. It helps to convert better leads, faster, and shows the advert and the artwork on what platform generated that lead so that it is possible to optimize and refine. Akero is a digital inbound and outbound marketing and lead generation platform, used by over 300 organisations, built with agencies and brands in mind. Allmessages is a marketing automation software that offers lead scoring and management, workflow automation, and template management. As part of Alterian's Adaptive Customer Experience™ Platform, 'Chameleon', Dynamic Decision Engine (DDE) adapts to every customer interaction in real-time with in-the-moment personalization on any channel such as real-time email content or website content and unknown to known identity stitching. DDE requests the necessary full slow (historical) and fast (in-the-moment) data of each customer to personalize the experience as each interaction is happening in less than 100 milliseconds. Now every interaction is immediately informed by the previous interaction for future messaging. Altitude is a marketing source of tracking, cleansing, and Normalizing channel-specific data into a system of record. AnyFunnels platform helps you capture leads, track website visits, send more personalized emails, automate customer journey & accelerate growth. Aprimo Campaign allows marketers and analysts to generate their own targeted customer lists, assign offers to subsegments, and orchestrate delivery to any marketing channel: email, direct mail, call, social, and other digital channels. It offers advanced segmentation features that securely query your data in place wherever it rests—on-premise, hosted, or in the cloud. This allows your organization to better target prospects and customers with the best campaigns and offers throughout their customer journey. Aprimo Distributed Marketing is a through-channel marketing automation platform designed to bring control, transparency, and enterprise-class capabilities to local marketers of distributed organizations and their respective channel programs. Apsis offers services and easy to use technology within Email Marketing, Marketing Automation & Lead Management. Argosy provides solutions for ordering, personalization, production, and distribution of marketing assets. AutomateWoo is a marketing automation solution for Woo commerce stores. Marketing automation software for agencies designed with ease-of-use in mind. Deploy new instances in a few clicks, create automation campaigns with our drag-and-drop creator, and get to grips with marketing automation without all the complicated bells and whistles. Improve your digital strategies by qualifying, segmenting, and nurturing prospects for your clients; so they only focus on leads that are actually interested, saving their sales teams time and effort. Automatur is a marketing automation software application that goes far beyond a basic contact or relationship management system.